Large Displacement Design: At 21.4 cubic inches, this engine delivers the strong low-end torque needed to get the hull up on plane, with quicker throttle response and acceleration. Fingertip Control: Mercury FourStrokes are designed with a boat load of user-friendly features, such as our multifunction tiller handle. This tiller handle gives you easy one-handed operation of shifting, stopping, throttle, throttle friction, and tilt. More control equals better maneuverability. Wishbone Mounts: Mercury’s “wishbone” style motor mount system cradles the powerhead and absorbs the torsional rotation of the crankshaft. By isolating and reducing the vibration transmission to your boat, it provides a smooth driving experience. 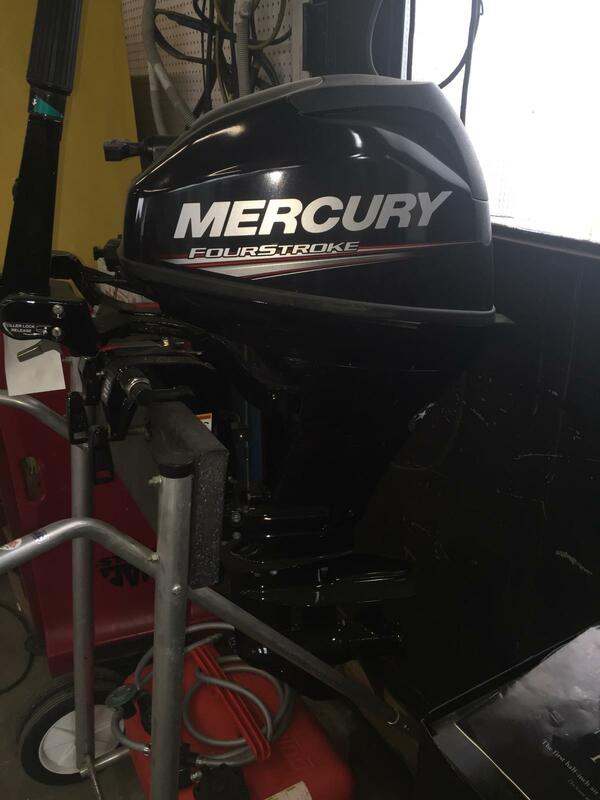 Long-Lasting Gearcase: Mercury’s 15hp FourStrokes have dual water pickups. So even if you end up in the shallows, your engine will keep its cool and not overheat.